Panzer Corps – Big Sale – the World Championship 2018 is over! 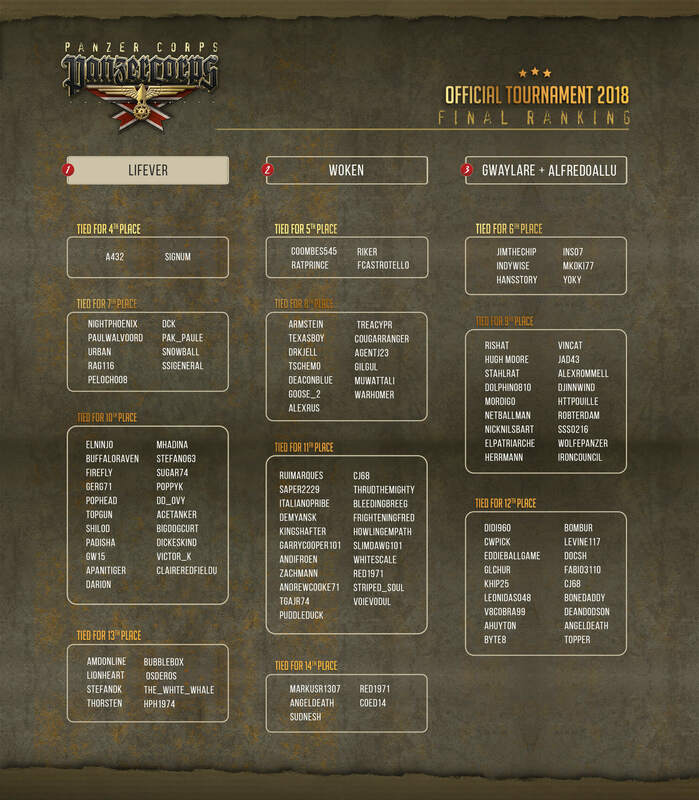 It’s been an epic journey, an astonishing feat, but the longest, largest Panzer Corps tournament ever is now over! The champion, Lifever, is going to be remembered in the Panzer Corps Hall of Fame, alongside last year’s winner! He will also be featured as a Hero in Panzer Corps 2! Hail to the champ! We would like to once again congratulate with Goose_2 for a perfectly run tournament which wouldn’t have been possible without his dedication and passion. Thank you Goose! The sale starts today and lasts until January 30th! 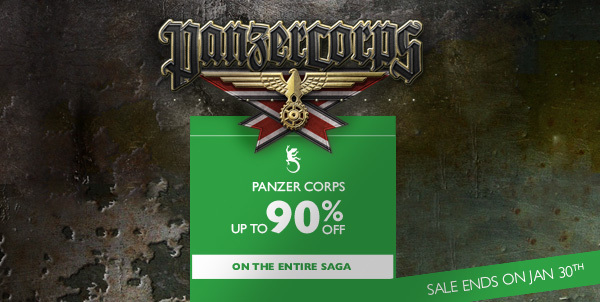 Don’t miss this chance to complete your Panzer Corps collection! More details here.